Employing local staff to run breakfast and lunch clubs, childcare facilities, after schools clubs, fruit and vegetables stall, family support, youth work, counselling, housing, Sozo sessions and various drop in groups. We also manage a community centre for Buttershaw. 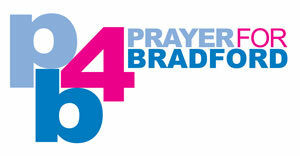 Footprints Family Centre has sought to be ‘God’s love in action on the Buttershaw estate’ for about 20 years. Wisdom for the staff as we seek to expand our work. Plans to expand our housing project to more local people.